Gamers are waiting patiently for Bethesda’s impending release of Fallout 76, but a few dysfunctional issues with its C.A.M.P. system may hobble the best efforts of its most creative players. 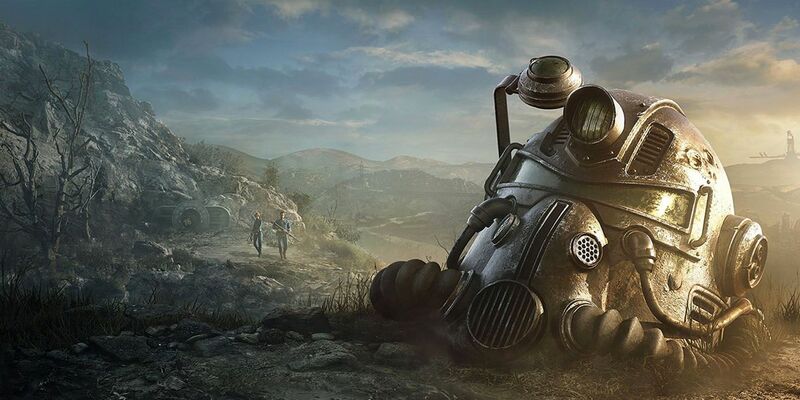 A recent Reddit post details some problems inherent in its base-building mechanics, matters which may lead to frustrated day-one players looking to craft their architectural marvels in the wasteland of Appalachia. Fallout 76 is the follow-up to 2015’s multi-platform best-selling Fallout 4, but a litany of problems have been unearthed by its pre-release player community. Taking a hard turn from previous entries in the series, Fallout 76 does away with human NPCs, prioritizing a first-ever online multiplayer focus for the post-apocalyptic action-RPG franchise. In preparation of the full release, developer Bethesda Softworks scheduled a series of timed beta sessions for pre-ordering fans, and although they’ve delighted at the opportunity to discover the various systems and community events in the new game, many have also run into bugs, net-code issues, and design problems that threaten to compromise the intentions of the ambitious sequel. A Redditor on the official Fallout 76 subreddit describes the problem in lengthy detail. Hearkening back to its predecessor, Fallout 76 features base-building mechanics (utilizing a Construction and Assembly Mobile Platform device, or “C.A.M.P.”) with impressive customization options. Unfortunately, with up to 24 players per server instance, it’s quite possible that a player may log onto a server with an existent C.A.M.P. in the same location as their previous one. According to the Reddit thread, this prompts the game to store a player’s base piecemeal in their C.A.M.P. menu, which might prevent a particularly complicated base from being reconstructed back to the way it was. It’s the kind of deeply set problem that emerges with online-focused games, and Fallout 76 attempts to remedy these types of server conflicts by allowing players to move their C.A.M.P. for a low cost of caps, the in-game currency. However, issues related to base construction make this solution irrelevant, because elaborate bases featuring multiple gangways and elevations apparently can’t be easily snapped together again after relocation. 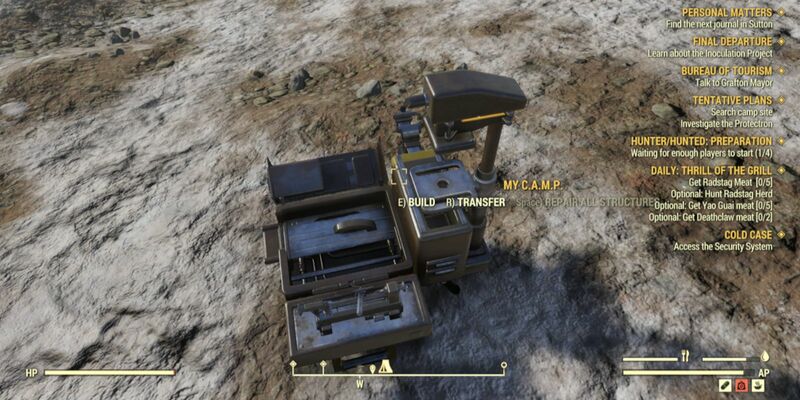 For some players, this particular bug might not be a deal-breaker — the Reddit thread points out that it doesn’t appear to be a problem with “a simple cabin in a flat area” — but there are definitely Fallout 76 players who can’t wait to design and show off their intricate bases. The C.A.M.P. system is meant to inspire a sense of freedom and experimentation, and Fallout 76 grants players the opportunity to share well-fortified and imaginative base designs with in-game strangers for the first time. The Redditor in question even offers a potential solution: have the game prompt the player when entering a server with an overlapping C.A.M.P., offering alternate servers to join instead. While this sounds like a reasonable temporary solution, it’s hard to know whether this kind of server check would end up untenable when the game is fully released and the player population reaches peak levels. For now, ambitious virtual architects may want to limit the complexity of their base designs until further notice. Fallout 76 releases on November 14 on PC, Xbox One, and PS4.